The game of monopoly (we have farm-opoly) can get out of hand at our house. Last week I heard them disputing and ultimately banning “bailouts”. 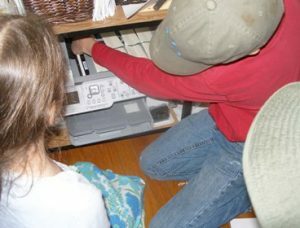 This week I caught the kids in the office operating the copy machine. 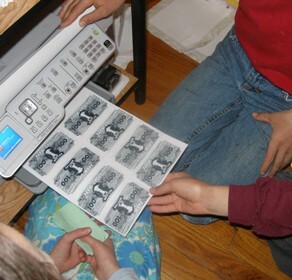 They’ve listened to way to much economic talk this past week.